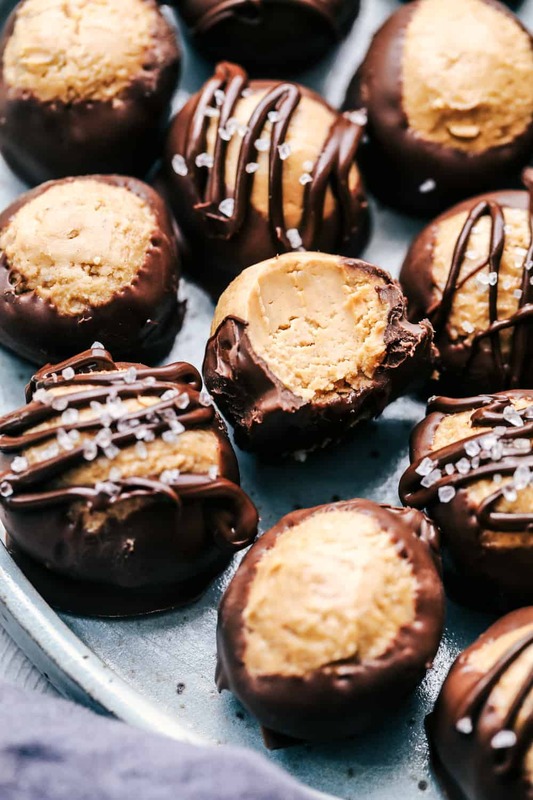 No Bake Buckeye Peanut Butter Bars are rich and creamy peanut butter balls that get dipped in chocolate. This simple no-bake dessert is always a hit! 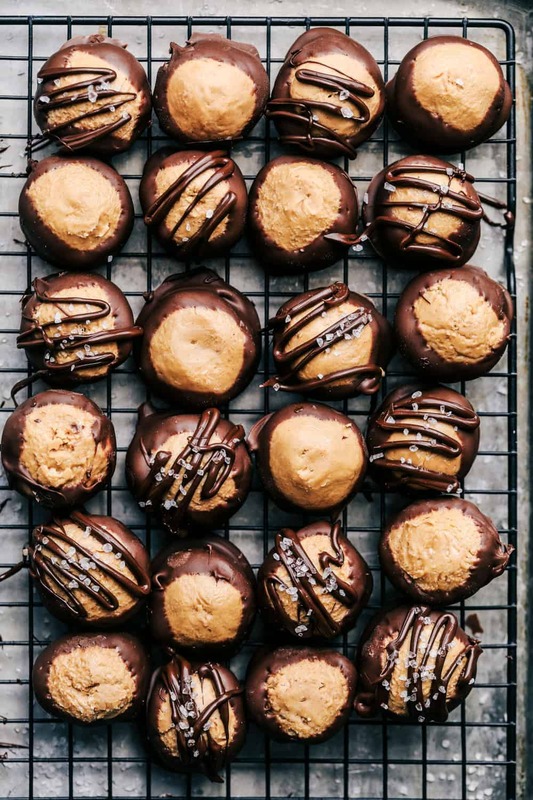 If you are looking for no bake peanut butter desserts be sure to try: Reese’s No Bake Peanut Butter Bars, Peanut Butter and Chocolate Granola Bars, or Crunchy Peanut Butter Bars! Remember that one time when I told you that I didn’t like chocolate? Well, still to this day I don’t like to eat a slice of chocolate cake. But the thing that got me to start eating chocolate was to combine it with peanut butter or caramel. I LOVE the peanut butter and chocolate combination! It is probably why I am so obsessed with these peanut butter bars. My ten-year-old son loves to be with me in the kitchen and wanted to make a treat. Since it is still blazing hot here in Utah, I told him that it had to be a no-bake treat and so he chose to make these! We had fun in the kitchen making these together. 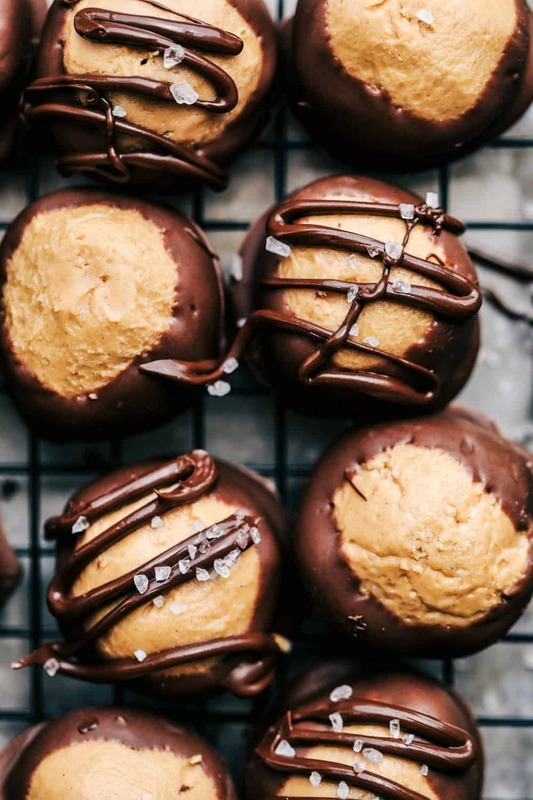 They are so simple to make and the perfect chocolate peanut butter no bake treat! 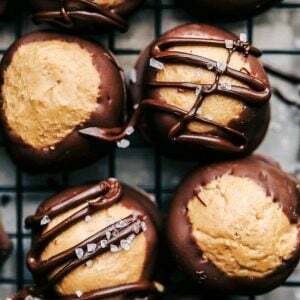 How do you make buckeye peanut butter balls? Start by adding peanut butter, butter, vanilla and powdered sugar to a large bowl and mix until dough forms. 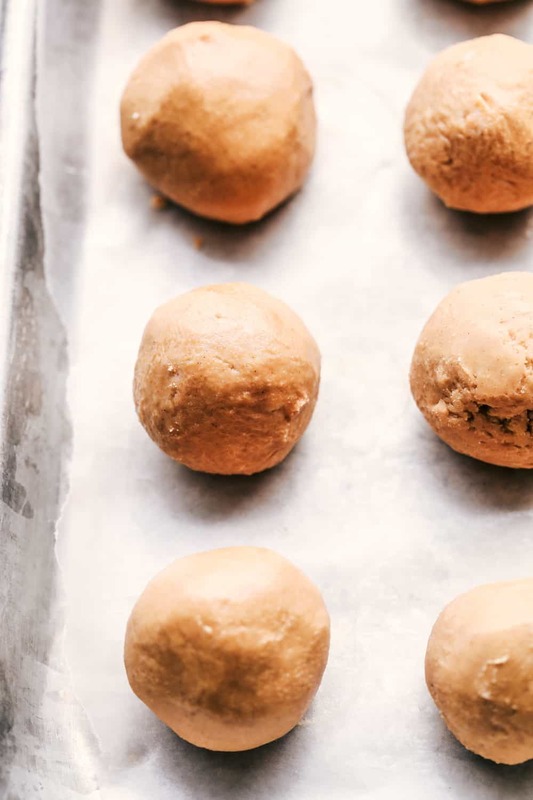 Roll into 1 inch balls and put onto a waxed paper lined cookie sheet. 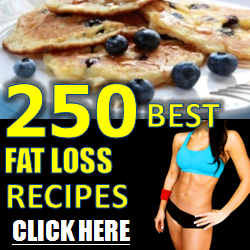 Freeze until firm 20-30 minutes. Melt chocolate chips in the microwave stirring every 30 seconds until smooth. Press a toothpick into the top of each ball and dip into the chocolate. Drizzle the tops with melted chocolate and sprinkle with sea salt if desired. Place them back on the cookie sheet and refrigerate until set. I like to store mine in the refrigerator. But if you use shelf-stable peanut butter, they may not need to be refrigerated. 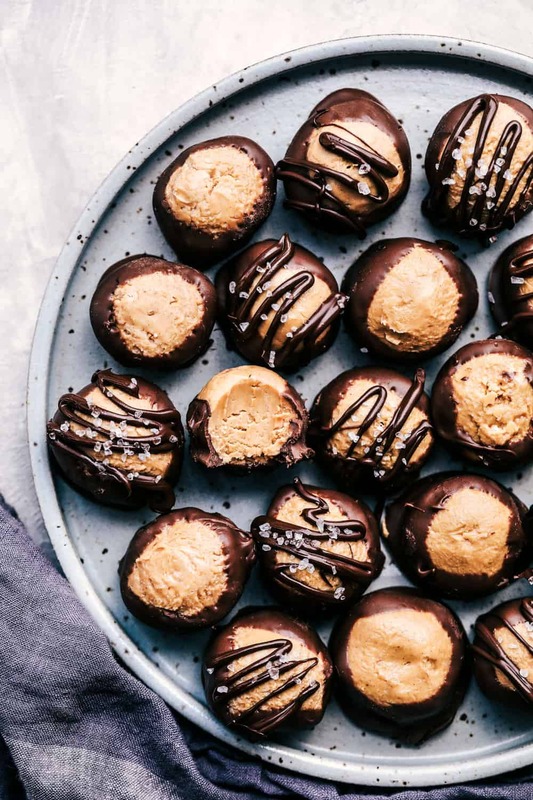 How long can you keep buckeye balls in the refrigerator? Store them in an airtight container up to two weeks in the refrigerator. Yes. They can be frozen for up to three months.